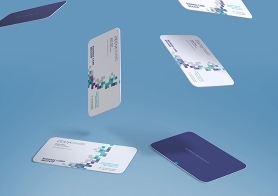 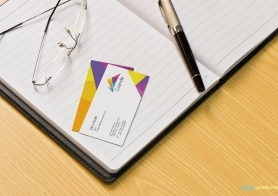 •	The size of the business card is 3.5 x 2 inches. 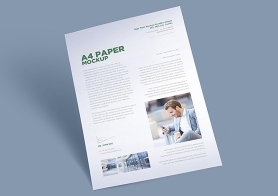 •	The size of the letterhead is 8.27 x 11.69 inches. 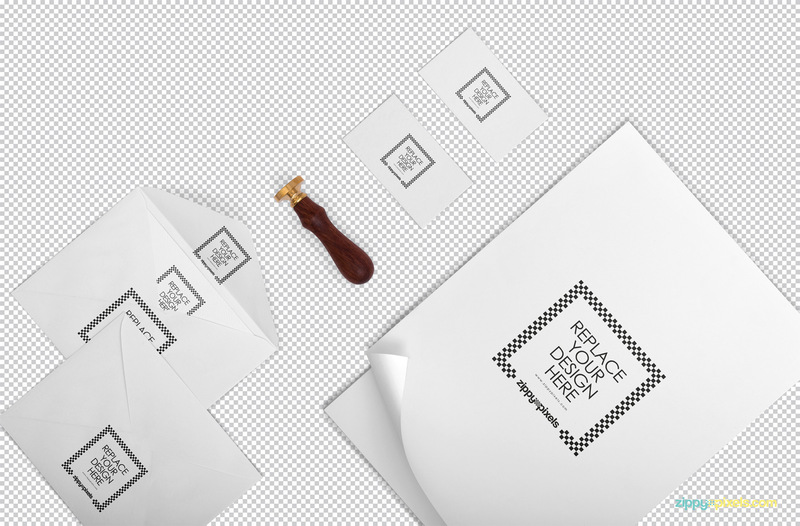 •	The size of the invitation card is 6.2 x 4.7 inches. 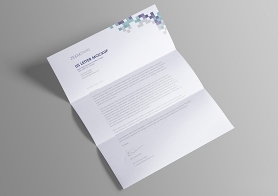 •	The size of the inner side of the opened envelope is 6.2 x 6.7 inches. 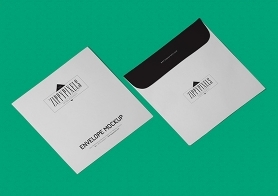 •	The size of the envelope’s front is 6.2 x 4.7 inches. 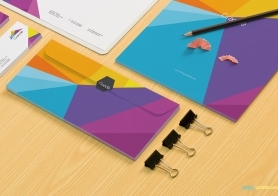 You can personalize all of these items with your designs with a single click. 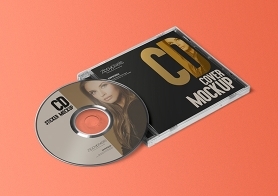 You can also customize the shadows, colors, effects and the background using its well-organized layers. 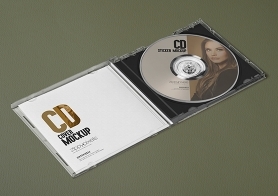 Simply use smart object option to place your designs and get a flawless presentation in just a few minutes. 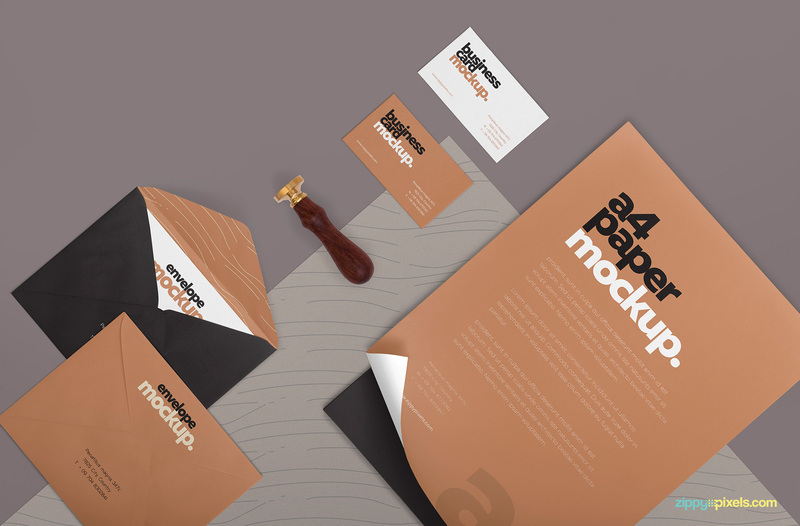 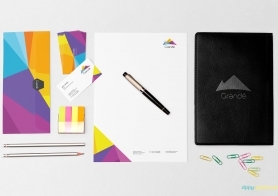 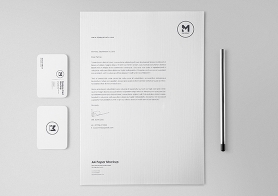 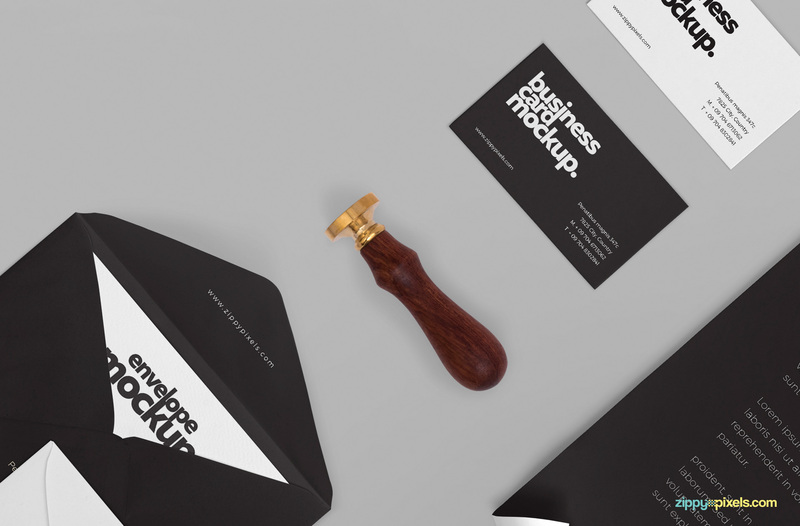 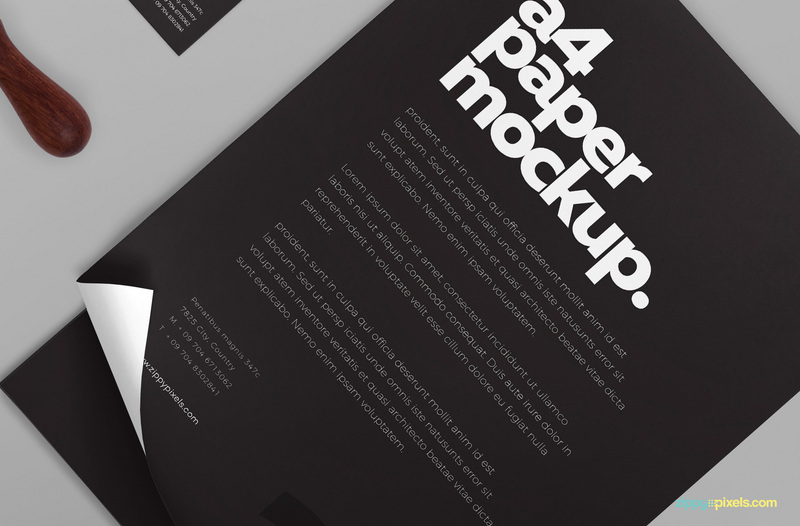 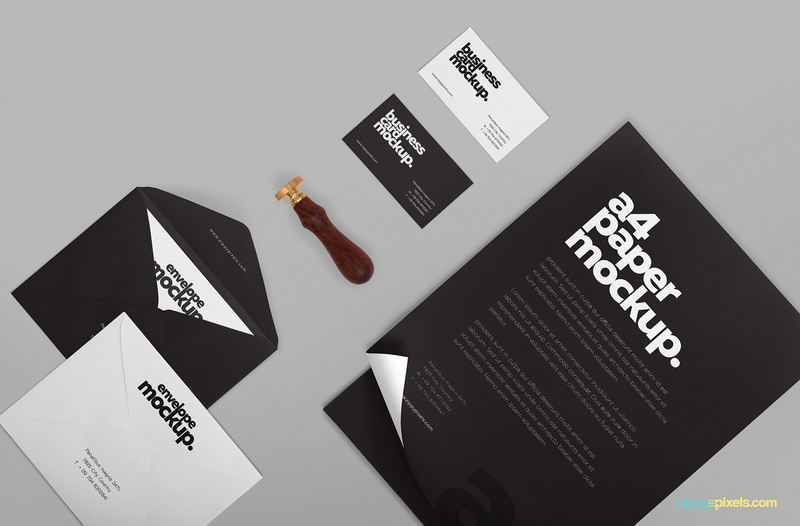 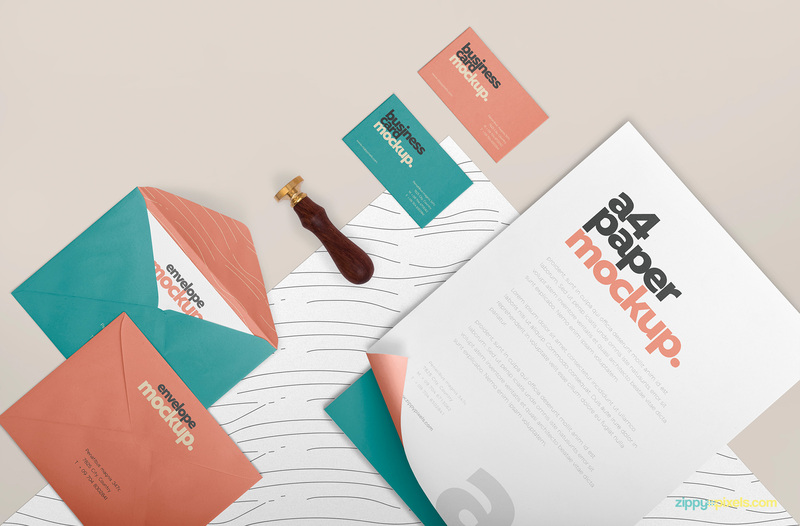 If you like this stationery mockup then please do share your reviews in the comments box below.